Moving equipment can be one of the most daunting parts of setting up your letterpress shop. Whether you hire professional riggers or convince a few knowledgeable friends to help you, here are some things to think about. First and foremost, if you’re not comfortable moving heavy equipment, don’t attempt it. Chances are there are firms that specialize in moving heavy machinery in your area. Not only will they have expertise, but they’ll also have a whole truck full of equipment that you don’t have and probably don’t want to buy for a one-time move. Look for “machinery movers” or “riggers” on the web, or, better yet, get a recommendation from other printers in your area. If you pick a firm without the benefit of a recommendation, make sure they have experience moving printing equipment—moving an antique, irreplaceable, often oily, top heavy, and brittle cast iron press is a different problem than moving a modern machine tool. To move equipment safely without the benefit of a professional machinery moving firm, be sure to follow the recommendations below. Helpers: Seek out friends and fellow printers who have moved equipment. Ideally, we all learn this from other folks, rather than from harming equipment or ourselves. 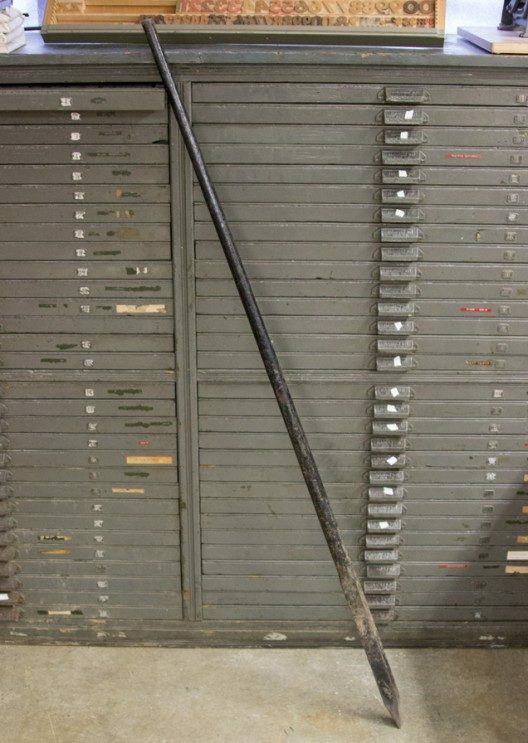 A five or six-foot pinch bar: this is a steel bar with a beveled, square end. You specifically want a “pinch” bar, because the end is ground to a chisel profile. This allows you to get under things and affords great leverage. You can do this work with one pinch bar, but two, or one and a Johnson Bar (see below) make things go much smoother. Blocks: Eight 12 inch lengths of 2x4s and 4x4s as well as 3×6 pieces of good quality (no voids) 3/4 inch plywood. Some 2×6 blocks are nice to have as well, but not essential. Preferably blocks should be a harder softwood like fir. They should be flat and not warped or cupped. Bring more than you think you’ll need—you’re going to be supporting the corners of the machine, at the very least, as well as creating a point that will act as the fulcrum for the pinch bar. As the machine gets higher, the fulcrum must as well. Some way to roll things: In a perfect world, a pallet jack (you can rent these.) If you can’t get a pallet jack, buy some pieces of one-inch black iron pipe, about a foot longer than the outside measurement of the skids when they’re mounted. You’ll need at minimum two pieces—one under the machine at any given time and one in front to roll it on to next. More can be useful in some situations, like turning a corner. If your press is mounted on skids, it is best to use pipes. If it’s on a pallet, use a pallet jack. Lumber for skids: 4×4 minimum or a reinforced pallet. Skids are easier to position. A pallet with plywood on top will be much easier to deal with than a pallet without. Rope or ratchet tie down: Unless you have access to an Eagle Scout, ratchet tie downs are the way to go—they’re not expensive and you’ll use them again and again. Get them at an auto parts store. Get at least two, and four would be better—more if you’re using them to hold equipment on a pallet. A basic tool kit: A hammer (a decent size one—you can move blocks under a press with one if need be, but you have to be able to give them a good thwack), wrenches (a set of combination wrenches is vastly preferred—adjustable wrenches round off bolt heads and nuts), screwdrivers (again, get a decent quality set and use the right size for the screw slot). A Johnson bar: This is a type of pry bar with steel wheels at the fulcrum, and a tremendous mechanical advantage. These bars come in various lengths and can be rented as well. They are designed to lift and shift heavy equipment. Bottle jacks: Get the generic type you find at the auto parts store. For equipment that has higher frame members, you can sometimes use these instead of pinch bars and blocks to lift the equipment. See the caveats below about lifting points. Come-alongs: These are great to lift, secure and drag things. 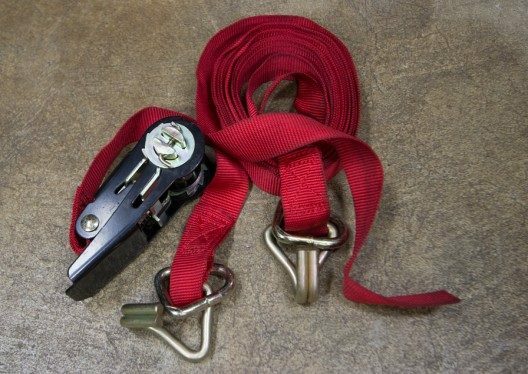 Nylon lifting slings: The endless loop variety is the most versatile. These can be used to get a grip on otherwise awkwardly shaped things, like Linotype bases. Keep them clean—grit gets inside and weakens them. After you’ve figured out that you and your best friend aren’t just going to pick up and carry that new press home, you need to get some estimate of the weight. 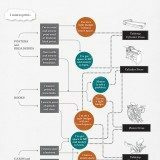 There are some on-line resources for this such as vandercookpress.info and briarpress.org (search on weight or press weight), and often the letterpress-related forums (ie Letpress) can be helpful. Knowing the weight is important. Everything that moves, lifts or secures a machine has a safe weight rating that you should never exceed. Putting a 1500 pound press on a 500-pound-rated lift-gate is a bad, and potentially fatal, thing. Measuring first will save a lot of grief (and prevent a lot of bad words) later. If you have any question as to whether something will fit through an opening or doorway, get out your tape measure. Don’t forget about the fact that the item will be four to eight inches taller than it is sitting on the floor. You’re going to have to put it on skids or a pallet and you’re going to have some sort of rollers under it as well. This is a source of much discussion in the letterpress community. Many argue against it: parts get lost, things get broken, memories of correct assembly fade, and so on. All true, but there are ways to avoid heartache. First, remember that most older machinery is made at least partially of cast iron. Cast iron is brittle, and difficult to repair once broken. If a flywheel isn’t coming off a shaft, don’t just hit it with a big hammer. Look for a setscrew under all that grime and loosen that to loosen the flywheel. Is the machine rusty? 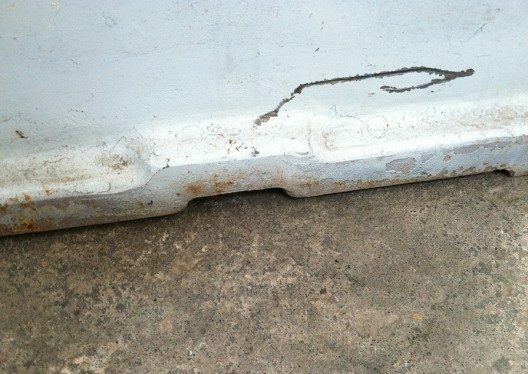 Rust is a remarkably good adhesive, so soak it good with penetrating oil (Kroil® is a very good brand) and tap it lightly to see if it will loosen up. If you don’t have a soft-faced hammer, use a block of wood between the hammer and the thing you’re hitting (hitting on the end-grain is more effective than the flat grain). 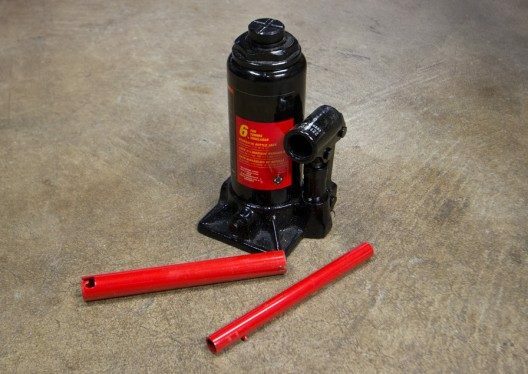 Large press parts can easily weigh 150-200 pounds or more, so make sure you anticipate where the part is going to go when it comes off the shaft or bolt or whatever. You don’t want to drop something heavy and break it, or worse yet, break your foot. Support parts with blocks or create a soft landing zone. Many things like flywheels are keyed to their shafts—don’t loose those keys. Bring heavy zip closure bags for small parts. Blue painters tape and a Sharpie® are great for labeling parts. Take lots of pictures—digital film is cheap, and it’s unlikely that you’ll have a shop manual to help you get things back together. There is one exception to the “don’t disassemble” caveat and that is crank handles on proof presses. These are somewhat delicate and always beyond the footprint of the press. Take them off. Just don’t lose the setscrew and/or key. And make sure that the key that “won’t come out” isn’t just being held in by gunk. If it can jiggle loose on the trip to its new home it will, and you’ll be a very cranky(less) press person at the other end of the trip. So now you’re ready to get the equipment onto your skids or pallet. If you’ve left movable parts on the equipment, secure them somehow before you try lifting anything. Doors and drawers have a habit of coming open at the most inopportune times. If you can get some, pallet wrap works great for this—it’s like giant cling wrap that can be put around equipment such as type cases to keep things from coming open. If you’re moving a proof press, secure the cylinder in the middle of the bed. The press will be more balanced that way. Don’t use that blue tape you brought. Use rope, heavy wire, or ratchet tie-downs. 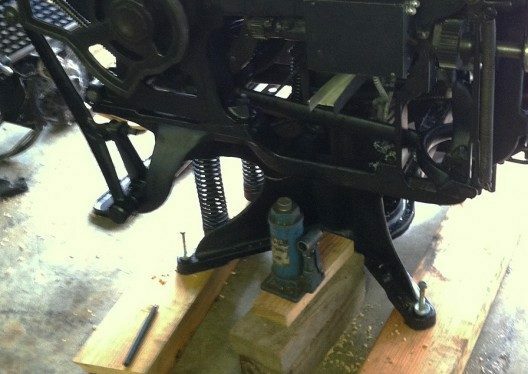 If you’re moving a platen press, move the press to the closed position and secure the flywheel to the press frame, not to the throw-off lever or brake. Again, that blue tape is for labeling, not securing a press flywheel. Use rope, wire, or tie-downs here too. Now the real fun begins. Discuss and debate your plan of action with your helpers before you lift anything. Think carefully about what part of the equipment you choose to pry under, and be sure that part you choose is sturdy enough to support the weight of the equipment. Some presses also have cutouts meant for the point of a pinch bar—if so, use them. You’ll need a five or six-foot long pinch bar or a Johnson bar. It may seem obvious, but never lift a press any higher than needed. Place your pinch bar under the lifting point and place a block(s) under the bar for a fulcrum. This should be as close to point of the bar as possible to increase the mechanical advantage as much as possible. The fulcrum block should put the bar at about a 20 degree angle to the floor; if the angle of the bar is too steep the equipment will just slide off sideways. Lift one side of the press and put one 2×4 block under each of the feet. Don’t try to lift one side the full thickness of your skids in one lift off the floor. Lots of printing equipment (particularly proof presses) is very top heavy, and will become unstable at a surprisingly low angle. Better to go slow than to tip something over. Move to the other side of the press and do the same. You’ll need to raise the fulcrum as the press gets higher in the air. Repeat, moving from side to side until the press is high enough to get the skids under the feet of the press. For stability, use as few blocks as possible. 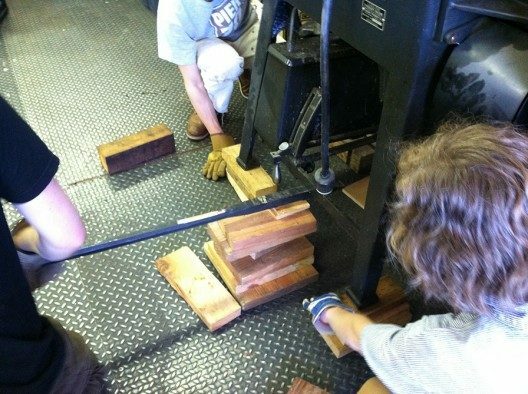 Lift one side of the press and replace the blocks with a skid. Repeat on the other side. If you’re being really smart, you’ll put a scrap of plywood under the skids (on the same end of both) so you can get the bar under the skid to lift it and place your rollers. If you choose to use a pallet instead of skids your lifting task is a bit trickier. First, it’s probably advisable to cover the top of the pallet with a layer of 3/4 inch plywood—this will strengthen it and distribute the load better, as well as give a smooth surface to slide/walk the equipment across the pallet. Typically what you’ll end up doing is getting one side of the equipment on the pallet then walking it the rest of the way onto the pallet. You may be able to use blocking and 4×4’s to lift from outside the footprint of the pallet. Overall, if the item being moved weighs more than four sturdy helpers can move and you don’t have unusual lifting equipment (see below), skids are a lot easier to work with regards to getting equipment on to them. There are a lot of other ways to get a press into the air—engine hoists, tow trucks, chain falls hanging off rafters, etc.—but those are very site specific and beyond the scope of this article. In any case the same caveats apply: use teamwork, choose your lifting points carefully, keep the equipment as close to the ground/floor as possible, know the safe lifting capabilities of all the parts of a lifting system, and most importantly, keep everyone’s body parts out from under a piece of equipment that is in the air. Now that you’ve gotten the equipment on skids or a pallet, you have to secure it. Remember that a lot of printing equipment is very top heavy. Pallets increase the footprint and help with this immensely, skids somewhat less so. Neither do any good if the equipment isn’t firmly attached to them. Three Sheetrock® screws do not count as “attached.” Use appropriately sized bolts or lag bolts, screwed into solid wood. If the item doesn’t have holes to bolt it down, you can screw blocks of wood to the pallet or skid over some part of the base and secure it in that way, or, if you’re using a pallet, you can use ratchet tie-downs. In any case you don’t want the equipment moving off the base that you’re moving it on. Plan your route out of the building, looking for the least number of turns and obstacles. Be aware of even small irregularities in the floor—the threshold that you step over easily is a real chore to roll over with a 2 ton Linotype. Also be aware of things hanging from the ceiling. You measured the doors and know the equipment will fit under the jamb, but did you notice that light fixture just down the hall? If there are any inclines on the route, NEVER put anyone on the downhill side when you’re moving downhill; always control the motion from the uphill side. This is especially true of equipment being moved with a pallet jack. Always move as slowly as possible—inertia is not your friend. If you have inclines to deal with, consider using a come-along to control the movement of the equipment. Come-alongs can both pull things up slope and lower them down slope in a controlled manner. There are several ways to haul equipment around. Probably the most common are tilt bed trailers and trucks with lift gates. Cost and availability are the determining factors; both can be used quite successfully. Here are some other things to think about. Do you have to deal with a loading dock? If so, a truck is the best choice. Tilt bed trailers (or tilt bed car carriers) typically are not height adjustable enough to deal with loading docks. If you use a truck, make sure the equipment will fit height-wise. Also make absolutely sure the lift gate has an adequate load rating. Most rental truck lift gates are intended for moving home goods, not printing machinery. Once you’ve moved the machine on or into your vehicle, the single most important thing to do is tie it down, really, really well. If you’re using a truck, place the machine as close to the wall as possible and take it off the rollers (it can sit on blocks to make putting the rollers back under it easier.) Strap/tie it in multiple places to the tie-downs in the truck wall. This is the place where the ratchet tie-downs are truly superior to rope. Ideally the machine will be tight to the truck wall, but this is often hard to achieve. Use the strapping in opposition to secure the machine. At least one to keep the machine from moving forward when you stop and one to keep the machine from moving backward when you accelerate (which, by the way you should do gently.) Remember the discussion about things being top heavy? Take this in to account when strapping equipment to the truck and try to get straps around the equipment up fairly high as well.